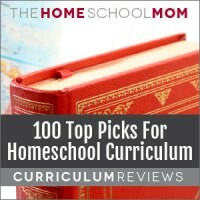 100 Top Picks For Homeschool Curriculum, published in 2005 and available in trade paperback and Kindle download, guides you through the process of choosing curriculum, offering “Top Picks” from each subject area, narrowing down to a manageable number of choices using questionnaires and charts. Parents no longer need to sort through the entire universe of products before they can find something suitable. Cathy walks her readers through the process of figuring out their preferences in terms of a philosophy of education, learning styles, and goal setting. A major feature of 100 Top Picks is the charts showing the 100 Top Picks in relation to educational approaches, learning styles, and practical features such as prep time needed; design for independent, one-on-one, or group learning; and ease of use for the teacher. omplete reviews of each of the Top Picks provide parents the information they need to make the best choices for each of their children. I started homeschooling out of dire need when our public school system failed. Cathy’s book is a great tool to not only finding curriculum but to help know learning styles too. I did end up buying some of the curriculum she reviewed and I was very happy. Because she not only did the homework she listed the web pages so I could do more homework myself too. Pros: Easy to Use! 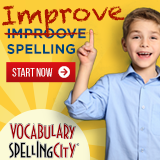 Very straightforward and easy to use for those just starting on the homeschool path! As a new homeschooling parent, this was one of the first books I picked up. It made choosing my curriculum and making sure my children and I were starting on the right foot sooooo easy! I love the fact that it helps you to determine your child’s learning style and then organizes the curriculum chart so it is easy to tell what will most likely work well based on yoru child’s learning style! Pros: Great Guide to choosing! Grades Used: I plan on using it for all grades. This is a great book! I used it to choose my entire curriculum this year for all my kids instead of the old canned lessons and this has been our best year yet, after four years of homeschooling. I recommend it to all my friends. Thanks Cathy Duffy! Excellent resource for any grade. This is a fantastic resource when you are first trying to decide on curriculum. I used it the first year I began homeschooling and now I go to Cathy Duffy’s website anytime I am changing or adding curriculum. I appreciate her straightforward and unbiased reviews and this is a great place to start when you are researching curriculum. 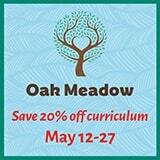 Highly recommended – especially for new homeschoolers. There is so much out there to choose from and Cathy’s book really helps you narrow all those wonderful choices (or at least the top 100) down based on your teaching temperment, time, budget as well as your children’s learning styles. I purchased this book when my son started kindergarten. It was a great resource. It helped my husband and I plan our children’s education through high school. We refer back to it every year when we are purchasing curricula. I highly recommend it to those starting out and feeling overwhelmed. We do use it with other curricula reference books to custom design our children’s education. Pros: Terrific book that helps guide the novice homeschooling teacher through the first few years. Cathy Duffy has done a terrific job with this book. Whenever I have had a curriculum question, this is my guidebook. (As is her website). This book helped give me the confidence that I needed in the first years of homeschooling. This is one of the first books I bought when I began homeschooling. I wish I had read the first few chapters that first year! I skipped through all that and got right to selecting my curriculum. After a couple of years, in the middle of a curriculum crisis, I went back and read those introductory chapters. They help put me on the right track. It made me think about why I home school, what my goals are and what sort of learning style my children are and what type I am. Clearly defining these factors help put me on the right track. I recommend this book to all new homeschoolers and anyone struggling with curriculum. Please learn from my mistake. Read all of it and work through the mental process for a strong start to homeschooling.